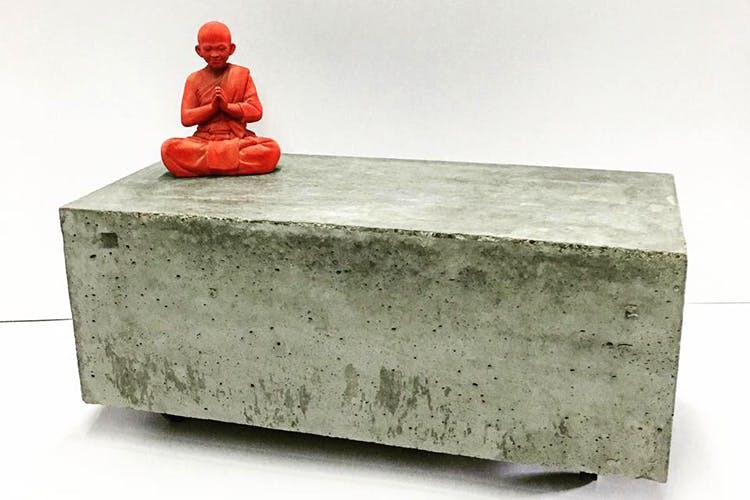 Gomaads is the brainchild of three architects who decided to do something ‘mad’ with concrete: and came up with small and delicate products that seem to defy the material they’re made of. They use cement casting techniques to create their products. They need the right proportion of the cement mixture to bring everything together. Besides creating accessories such as clocks, planters, bowls, t-lights, magnets, paperweights, ashtrays, trivets, napkin rings, platters, and showpieces, they are also developing a line of furniture fusing cement with wood and metal. These are limited edition products, made to order, and the price varies between INR 500 to INR 3,000. We’re obsessed with Gomaads, and how delicate yet strong the decor looks. Can you imagine it on a vividly painted wall? We can.